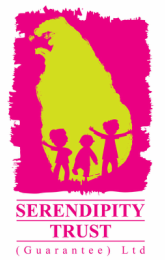 Big thanks to Ben, Shelly and Ranmalie who performed and ran workshops in schools throughout Galle! 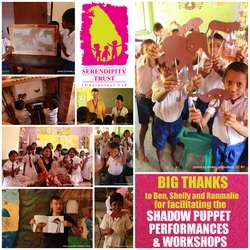 Children delighted in seeing a special storytelling and shadow puppet performance based on the popular Australian children’s story ‘Edward the Emu’. Following the Puppet Show the students took part in a fun workshop where they created their own shadow puppets before rehearsing in small groups before performing for their peers. Copies of the books Edward the Emu, Possum Magic and Koala Lou were donated to each school.